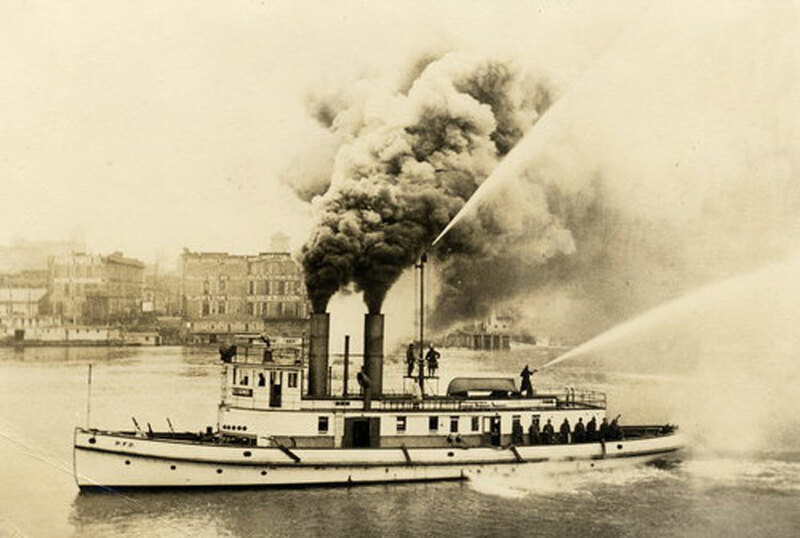 Firefighting in Portland, Oregon boasts many proud traditions with a long and storied history. 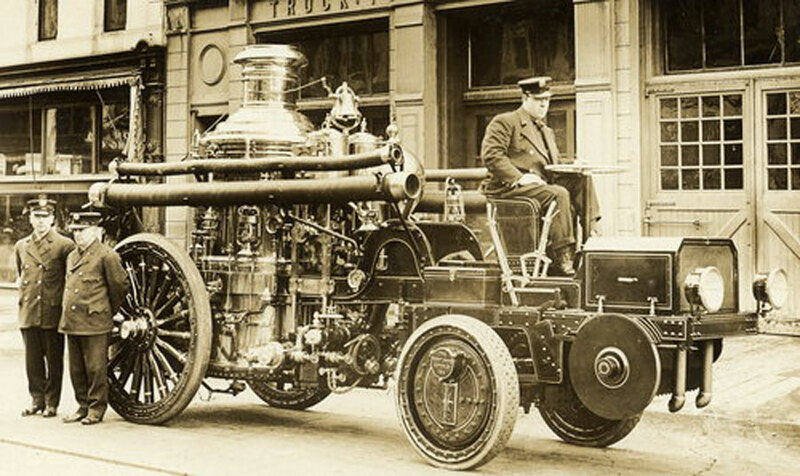 In 1851, Colonel Thomas Dryer, editor of the Oregonian Newspaper, decided it was in the best interest of the city to establish a firefighting force, and with that, he founded Pioneer Fire Engine Company No. 1. 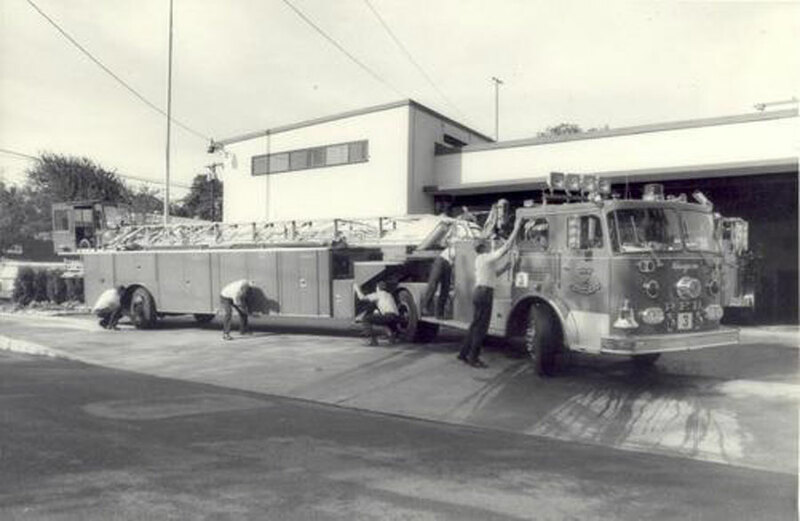 While it was never officially accepted, the "agitation" for a fire service in Portland had begun. 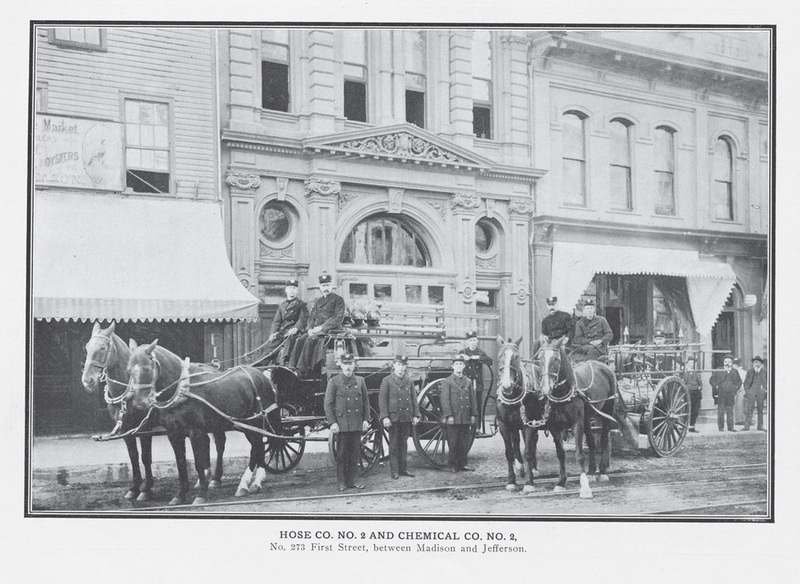 The first official fire company was accepted by the city on August 1, 1853 and steady growth followed. Pushed by fires like "Black Saturday" of 1873, the days of volunteerism succumbed to a paid force in 1883. This began the horse-drawn era, a colorful and highly photographed time period. Horses gave way to a fully motorized force in 1920. 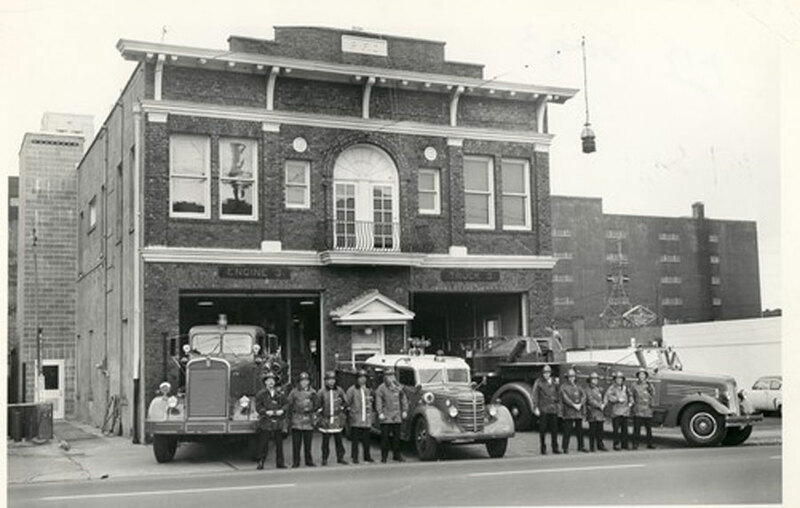 The next two decades saw innovations like the Fire College, emergency medical vehicles, and new types of firehouses spread across the city. 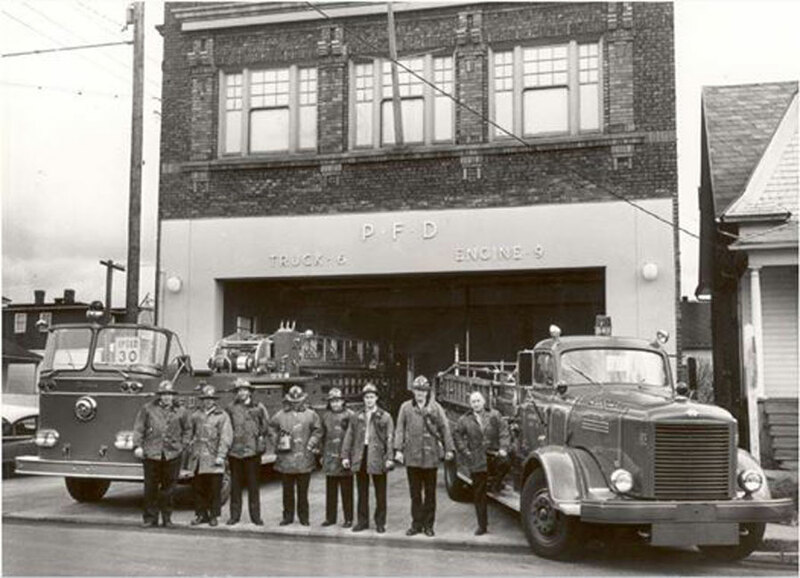 World War II brought additional challenges to Portland Fire crews but also created innovations such as the civil defense corp. Technology continued to drive change in the fire service, from apparatus to equipment. Self Contained Breathing Apparatus, "Jaws of Life," and Hazardous Material Teams would continue to change the face and operations of the fire service.